If you've been reading up on what seeds are best to feed your pet bird, you've found that there are literally thousands of different types of seeds for pet birds. Birds, like people, eat with their eyes as well as their mouths. Their seeds need to be colorful with different textures to stimulate interest and appetite. In the wild birds would be able to choose a variety of different looking and tasting seeds, but in captivity, they depend on you to provide an interesting and varied presentation. Here are 3 nutritious sources of seeds to add to your bird's diet. To avoid pesticides and another additive organic is best. Sprouted Seeds-Before seeds sprout they are high in fat content because that is the food used to help it grow leaves and start to become a plant. Once it sprouts the fat is used and the sprouted seed becomes a little plant that is the source of a nutrient-rich diet. And as the seeds continue to sprout each day, they provide a different nutrients-a gift that keeps on giving comes to mind. You can choose to sprout your own organic seeds or buy a sprout mix. Sprouted seeds are a great way to give your bird fresh greenery daily. It may seem tedious at first, but like anything else, once you have your system down you'll find it to be a cheap but wholesome way to supplement your bird's diet. Broccoli, kale, sesame, sunflower, radish, popcorn are just a few of many that will provide vitamins and minerals that your bird needs to stay healthy. 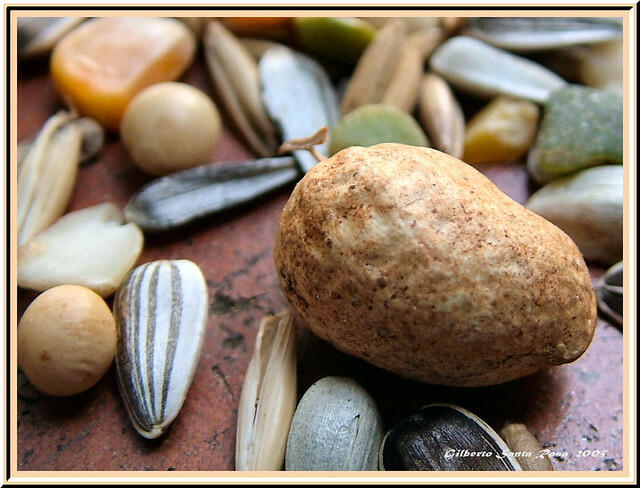 Vegetable Seeds-Most of the vegetables that we can't wait to deseed are exactly the seeds that are best for birds. Foods like pumpkins, squash, bell peppers in any color, and cucumbers all contain wonderful sources of nutrients that are wholesome but don't cost you any extra money to provide. So the next time you're planning a meal that includes any of these, share with your feathered companion. Fruit Seeds-Another great source for seeds, fruits are rich in nutrients and many like seeded grapes have a double advantage in that they allow your bird to hunt for the seed that's inside. Others to provide include pomegranate, apples, oranges, watermelon, honeydew melon, and cantaloupe. The advantage of feeding your bird fresh seeds cannot be overstated and will pay off in healthier, more vibrant feathers, a bright-eyed bird with lots of energy, and one that is more likely to resist disease and infection because of the strong immune system that these nutrients foster. The very foods that keep your feathered friend healthy also keep you healthy, and that's a great payoff as well. This article offers certain foods that you, being a bird owner, should never feed to your pet bird. If you have questions concerning a particular type of bird seed or fruit, consult your veterinarian. Buy your bird seed from a reputable producer like ABBA or Kaytee and read about the native diets of your bird species and supply a diet that features birdseed, fruit, and vegetables that closely resembles the natural food source of your particular bird species. Before purchasing a bird as a pet, read and collect information on certain things to do and not to do. There are many species of bird that, if cared for properly, will be lifetime companions and family members. Every responsible bird owner should know that there are certain foods and specific ingredients that must never be fed to a pet bird. Here is a list of six (6) food items that should never be fed to a bird or caution must be taken in the preparation of the food. 1. Chocolate, unfortunately, is not for the birds. That wonderful candy bar will mean disastrous consequences for your bird. Chocolate is incredibly harmful to a bird's digestive system. Initially, chocolate will cause vomiting and diarrhea. It can then impact the central nervous system resulting in seizures and eventual death. Chocolate and food containing chocolate ought to remain well out of reach of your feathered friend. 2. Though fruits are without a doubt good for birds, there are types that should by no means be given to birds. These include apples, apricots, cherries, peaches, and pears. The reason is rather stunning. These fruits contain minute amounts of cyanide within their seeds which is an incredibly dangerous and a likely lethal substance even in trace quantities. Birds can eat portions of these types of fruit so long as it is cut away from the seeds or core. Also, always clean fruit prior to giving to your pets, children or yourself. Damaging chemicals present in pesticides are often detrimental to small animals such as birds. Avocado is one fruit that should never be given to your pet bird. Skin of the avocado may cause cardiac distress and heart failure in certain bird species. Better safe than sorry with the avocado so don't even bother letting them try it. 3. Certain types of vegetables are often harmful. Onions may cause acute digestive problems and mushroom, which is really not a vegetable but a fungus can lead to respiratory distress, kidney failure, and death. While some veterinarians and pet owners are worried about giving pet birds particular vegetables like potatoes and tomatoes, these vegetables are not unsafe if they are cleaned and sliced prior to offering it to your pet. Remember, check with your veterinarian when you have concerns about any food source, including fruits, vegetables, and bird seed. 4. Even if you like to have a few, never ask your pet bird if he or she wish to join you for a drink. Alcohol depresses a bird's organs which, in some cases, is fatal. Caffeine is incredibly harmful to birds also. It causes a cardiac malfunction in birds and, in some cases, can cause arrhythmia, cardiac arrest, hyperactivity, and increased heartbeat. Keep alcoholic and caffeinated drinks well from reach and out of areas where your bird can access them. Aside from water, natural fruit or vegetable juice is good. It can provide the additional nutrition your bird needs. 5. Salt or products containing salt should never be given to birds. Like in humans, excess salt often leads to dehydration, kidney dysfunction, thirst, and death. Due to their small size, it does not require a great deal of salt to have negative effects. 6. Finally, never offer your pet bird dry or raw beans. Dry or uncooked beans contain a poison called hemagglutinin. Hemaglutinin is no longer a concern after the beans are cooked so if you desire to offer beans to your bird, cook them first. These are 6 food items that you need to avoid feeding your feathered friend. Knowing and avoiding these and other damaging food items will help ensure they will live for a long time. Pet birds can be very expensive. Don't take a chance with your bird's health by feeding it food that can be dangerous. So what should you feed your pet bird to keep it healthy and happy? To play it safe, provide a good quality seed and pellet diet and supplement with approved fruits and vegetables if desired. This way you will keep the bird healthy and happy.